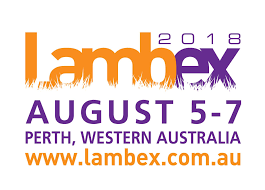 I was at a business expo today [ LambExpo in Perth but that is a story for another day ] and I was struck by these statistics... in 1990 Australia had 170 million sheep and today 2017/8 we only have 70 million sheep.... that is a lot of sheep that have been eaten or exported.... 100 million sheep have ceased to exist in Australia since 1990. So, there is a debate about at the moment about live sheep export - soon there will be no sheep to export. When we think about red meat the actual number of animals that it requires for us to enjoy a "medium rare steak " as I am today at the 7 Mile Inn in Balcatta, it is mind bloggling. And Ian said farmers in the UK know their animals by name.. it is all very challenging to me... but I hope thought provoking to you.